Linate Airport is one of the major airports found in Milan, Italy. This airport is located in the extreme suburbs of East Milan, approximately 8 kilometers from the Milan city center. The name of the airport came from the small village where it is located, in the town of Peschiera Borromeo. This airport was originally known as “Airport Enrico Forlanini” as a tribute to the great Italian inventor and aeronautical pioneer who was born in Milan. 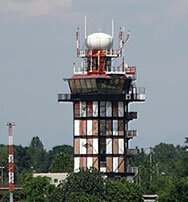 The buildings of this airport are in the Segrate Municipality but the larger part of the airport’s field is in the Peschiera Borromeo municipality. The airport was built next to Idroscalo of Milan back in the 1930s when the Taliedo airport, located on the southern border of Milan, became too small to handle commercial traffic. However, as from 1930, the airport has been completely rebuilt two times - in the 1950s and in the 1980s. Linate Airport is connected to the Malpensa Airport by highways that are well served by service buses. The airport serves twenty different airlines that mostly serve other airports in Europe. In addition, it serves as the arrival airport for EasyJet, which is a low cost United Kingdom carrier. At the moment the airport has only one terminal for both domestic and international flights. 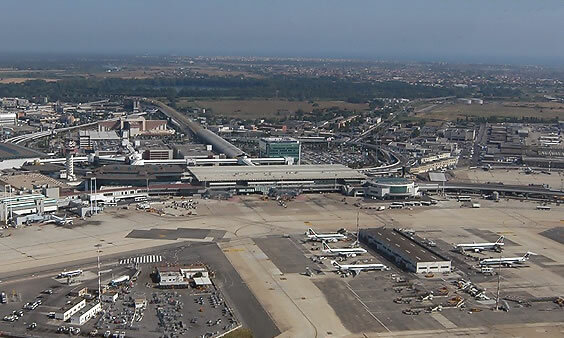 From central Milan you can easily access Linate Airport through XXII Marzo and Viale Corsica from the ring road as the airport has excellent links to Italy’s northern network via the ring road which usually circles Milan. In addition there are buses that will take you to and from the airport. You can catch these buses at the Milan city center and it will only cost you 2.50 Euros. There is also a taxi rank that is just outside the arrivals area of the airport. A taxi costs approximately 15 Euros per journey to and from the airport. When you hail a taxi to the airport you will alight at the departures. All these transportation options have made the airport quite accessible to travelers. Due to the proximity of Linate Airport to Milan city it is mainly used for domestic and short haul international flights. With two runways and an estimated 8.3 million passenger a year, the airport is normally served by many domestic, international, regular and low fare airlines. This airport offers direct flights to many airports in Europe and connections to other parts of the world.